2017IITCZS, 100 Days to go! The International Islands Tourism Conference is an important endeavor taken by China’s tourism industry as it thoroughly carries out the national the Belt and Road strategy. The Conference serves as an important platform for China to strengthen people-to-people exchanges and build friendly ties with island and coastal countries. It is an avenue for sharing experience in island tourism development, upgrading the levels of international exchanges and cooperation and gaining greater say in the development of island tourism. In addition, Zhejiang Province will avail itself of this great opportunity to upgrade and restructure its tourism industry and to improve quality and efficiency in its efforts to become a major coastal province with a dynamic archipelago economy. What’s more, as Zhoushan enters a new era of development which features the establishment of New Area and the Free Trade Zone, the expansion of the airport and the construction of high-speed rail, the Conference will be vital in promoting island tourism investment and transaction and marine economy development. 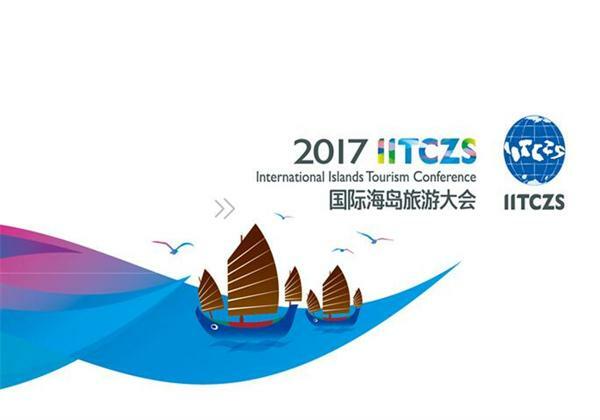 2017 will see IITCZS carry on the mission of hosting a professional and shared conference with unique style and charm.Special attention will be given to innovation and effectiveness to ensure the Conference will allow the tourism industry to be a key driver for growth and for global reach. The Conference, as a brand, is going to be more international, market-oriented and professional than ever before. Our goal is to have Modest On-site Events and Extensive Mass Communication, and to have island tourism as an opportunity to kick start tourism promotion efforts in the region and further open up the region to the outside world. The Maritime Silk Road will help us enhance foreign cooperation, open up further and promote island tourism in Zhejiang and China. We will strive to be the “bridge head” of the Belt and Road initiative and build a platform for different countries and cultures to trust and respect one another, learn from each other and engage in mutually beneficial cooperation. （8）Journalists from Chinese and overseas mainstreammedia and professional travel media. Content: Welcome speeches by Zhoushan municipal government officials; the world’s famous islands scenery display; open air cocktail party; performances of traditional Chinese music and folk dancing. Content: Keynote speeches by Zhejiang provincial government officials；speeches by China National Tourism Administration officials, delegates of international tourism organizations, officials from overseas island countries, and Alibaba representatives as well as famous scholars. Content: Opening Ceremony, government officials make an inspection tour of the expo, tourism products fair, Zhejiang (Zhoushan) Tourism Promotion Fair, Guest of Honor Tourism Promotion Fair, the launch of Island Travel with One Hundred Travel Agencies and One Thousand Package Tours. Content: Representatives of tourist destinations, senior executives of travel companies, and tourism experts are invited to discuss island tourist industry development models and island tourism vacation products development. Content: Representatives of tourist destinations, tourisminvestment companies and Chinese and overseas well-known travel companies are invited to discuss how to cooperate in tourism projects investment and tourist destination development. Content: Travel studies institutes, universities and Chinese and overseas large travel-related e-businesses are invited to share international island travel data. The Night takes place in the form of a buffet during which Australia, as Guest of Honor, showcases its tourism products, introduces China-Australia tourism resources and cooperation projects, and talks about tourism investment opportunities. Content: Jointly launch an international island travelwebsite with China’s major online travel agencies; expand the reach of the International Islands Day as a brand; island tourism products promotional offers and flash sales are provided on designated websites and smartphone apps. Content: Guests are put into two groups to visit either Mount Putuo or Baisha Island. Content: Speeches by government officials; publish Zhoushan Agreement. 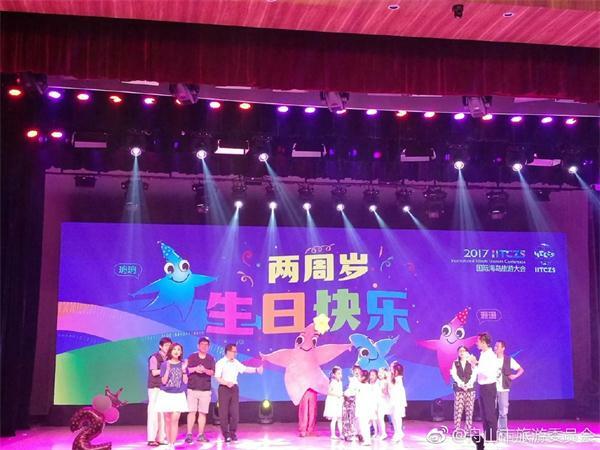 After the Closing Ceremony, Joy Ocean Carnival is launched with a series of activities including Zhoushan Archipelago Travel Promotion Fair, Zhoushan Archipelago Gourmet Seafood Festival, and open air cocktail parties to continue the zeal for travel in Zhoushan. Content: On the 19th of May, the National Tourism Day, issue the theme image of 2017 International Islands Tourism Conference, appoint the Conference’s civil publicity ambassadors, and cooperate with travel companies in and out of the city to launch islands preferential and quality tourist routes, led by the Travel Agency Branch of Zhoushan Municipal Tourism Association. Content: Conference mascots Zhouzhou and Shanshan lead campaigns in the counties, districts and function areas in Zhoushan to introduce Zhoushan’s sceneries and the city’s efforts in tourism promotion, make the Conference better known and engage with the public. Content: Donghai Music Festival, Zhoushan Archipelago Gourmet Seafood Festival, International Cruise Ships Exhibition, National Beach (Island) Camping Party, National Cruise Ships Industry Development Discussion Meeting, Zhoushan Archipelago “Island Hopping” Tour, and Island Travel Writing Contest. Every pub, teahouse and café is going to offer their best services to travelers in this Golden Month when the whole archipelago goes wild.